If you're just looking to create or work with libraries and need the how-to information, here are common and useful tasks that you can do. As team members add files and collaborate on documents, they organize the library by adding columns and creating views to help them find documents quickly. For example, the site owner adds a "Project Name" column so members can filter or sort by that column. Other team members add public views that group by fiscal quarter, and filter for contracts that expire within six months. Each member also creates personal views to help them find information quickly and complete their work. The team also commits to an important "best practice" in this new world of collaboration. When members want to share a document, they resist the temptation to attach it to an email message, and instead email a link to the document. Emailing a link is easy to do from the library and points people to the latest version on the team site. After three months of use, the Documents library and site have become critical to the marketing team and helped improve their productivity and visibility throughout their enterprise. They can't imagine working without it, and are exploring other ways to use SharePoint technologies to collaborate better. Use and create views You can use a view to see the files in a library that are most important to you or that best fit a purpose. The contents of the library don't change, but each view organizes or filters the files to make them easier to find and to browse in a meaningful way. For more information about views, see Create, change, or delete a view of a list or library. Use a Document Center site You can use a Document Center site when you want to create, manage, and store large numbers of documents. A Document Center is designed to serve as a centralized repository for managing many documents. Features, such as metadata and tree view navigation, content types, and Web Parts, help you organize and retrieve documents. "Content stewards" can quickly configure metadata-driven navigation to perform well for most libraries without explicitly creating indexes. Or content stewards can create indexes to enhance the performance over a wider range of filters and views. You can use a Document Center site as an authoring environment (where users check files in and out and create folder structures for those files) or a as content archive (where users only view or upload documents). The types of files that you want to store and manage are distinct, and you don't expect people to frequently view summaries of the files or to search the files together. Set up site templates and columns If your organization wants to establish some consistent settings across its libraries, it can set up site templates and site columns. 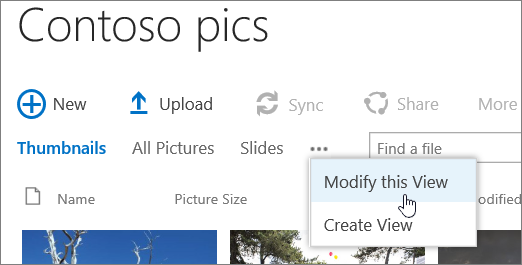 You can share the settings across multiple libraries so that you don't have to recreate the settings each time. By default, libraries track the name of a file, as well as information about the status of a file, such as whether it is checked in. But, you can specify additional columns that help your group to categorize and track files, such as a campaign name or a project number, or other information that's important to your team. You have several options for the type of column that you create, including a single line of text, a drop-down list of options, a number that is calculated from other columns, or even the name and picture of a person on your site. For more information about adding columns, see Create, change, or delete a column in a list or library. For more information about views, see Create, change, or delete a view of a list or library. For more information about folders, see Create a folder in a document library or Delete a folder in a library. All three approaches can work together. The same columns you use to track documents in the default view of a library can be used to create a view with several filter criteria. People can sort and filter a view dynamically by clicking the column headers to find content at the spur of the moment. If a folder structure has been defined in the library, you can "flatten" a library view by setting the Show all items without folders option in the Folders section when you create or modify the view. Each approach can complement the other to get the right content at the right time and in the right way for you. Data Connections library To simplify the maintenance and management of data connections, use a data connection library. A data connection library is a centralized place to store Office Data Connection (ODC) files. Each of these files (.odc) contains information about how to locate, log on, query, and access an external data source. 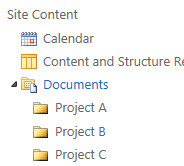 Centralizing ODC files in a data connection library also makes it possible to share, manage, and search data connection files from within a SharePoint site, and helps ensure that business data and reports, especially spreadsheets, maintain a consistent set of values and formula results as "one version of the truth". Record library To keep a central repository for storing and managing your organization's records or important business documents, use a record library. For example, your organization may need to adhere to compliance regulations which require an organized process for managing pertinent documents. A Records Center site can contain a number of record libraries for storing different types of records. For each library you can set policies that determine what records to store, how to route and manage the documents, and how long these records must be retained.